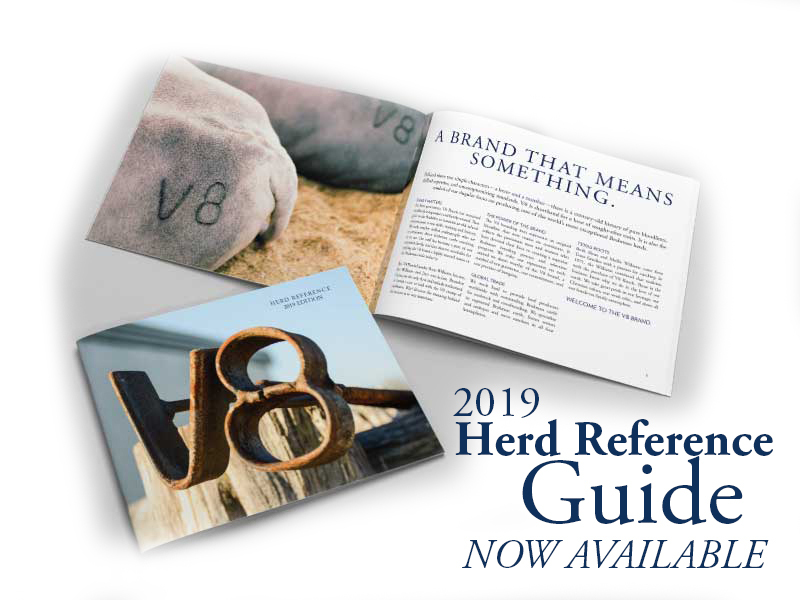 Every two years, V8 Ranch publishes an in-depth Herd Reference Guide that includes photos and pedigrees of our most significant animals. The 2019 Guide is available and includes 152 pages of great data for every Brahman enthusiasts! Download yours for free today! ﻿By signing up, you also agree that V8 Ranch can send you occasional emails with other ranch news and events. We expect to send 1 email per month. The Ultimate Guide for Brahman Pedigree and Performance Enthusiasts! Once you hit "Download" check your email for the guide to be sent directly to you.